Kolkata : A rescued street puppy dog by the Kolkata Police has become the first street mongrel to join the elite dog squad of West Bengal Police. Named as Asha, the dog underwent training for one and a half years to become eligible for joining the squad. "Initially, we did not have plans to train her or include her in our dog squad as we never had any street dog in the squad. But the then inspector-general (Training) K Jayaraman thought of providing training to the stray dog and see if she could be included in the canine squad," deputy inspector general of police Dipankar Bhattacharya said. Asha who will be joining "pedigreed" members such as German Shepherds and Labradors in the dog squad, has proved to be a good sniffer dog in detecting explosives, the DIG said. "I am happy that Asha has proved that not only pedigreed dogs can be part of a police dog squad. She has proved herself to be as smart and intelligent as pedigreed dogs. "We are proud that we are successful in training a stray dog to handle situations. She is ready for work and will join the squad soon," the IPS officer said expressing his willingness to try to include more street mongrels in the squad after training them. "Asha is a well-mannered dog. 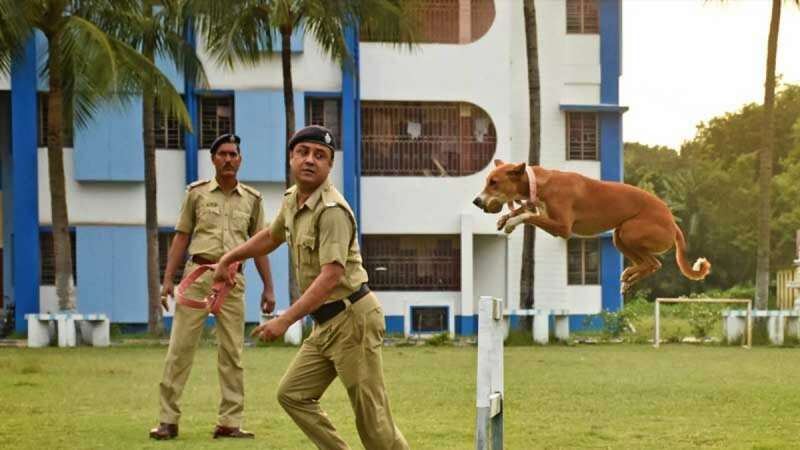 She picked up very quickly and started following instructions on how to heel and walk, crawl, lie down, roll over and salute just like others pedigreed dogs," another senior officer in the West Bengal Police's dog squad said. "But if you ask me, I will tell you that Asha was very good at training and most of the times, she was better than the pedigreed dogs. She is the fastest runner dog in our squad and quite clever. That's her mettle," the officer said.